Neutral salt spray corrosion experiments of spring steels with different Cr contents were carried out for different corrosion periods. The optical microscope was used to observe the macroscopic corrosion morphology of the steel surface. The corrosion pit morphology of steel surface was observed by laser scanning confocal microscopy and scanning electron microscopy, and three-dimensional simulation was carried out. At the same time, the corrosion products (rust layer) were qualitatively and quantitatively analysed by X-ray diffraction. 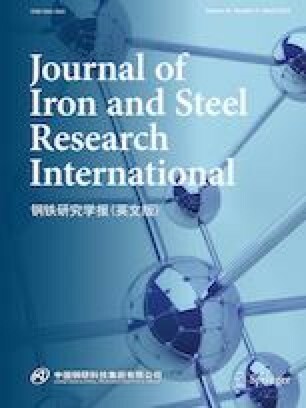 As the results show, Cr is beneficial to improving corrosion resistance of the experimental steel matrix, and the higher the content of Cr, the stronger the corrosion resistance will be. With increase in Cr content in steel, the development of corrosion process will be more effectively suppressed. With the increase in Cr content, the denser the corrosion products, the stronger the bond with the metal matrix is. The corrosion products have obvious stratification; the outer layer is mainly composed of γ-FeOOH, which is relatively loose and not firmly integrated with the matrix, while the inner layer contains α-FeOOH and Fe3O4, which are relatively dense and closely integrated with the matrix. The types of corrosion are constantly changing during different phases of corrosion. The authors acknowledge the financial support from the National Key R&D Program of China (2017YFB0304900).